Glen Moray Classic Port Cask Finish – Simple, yet pleasing with orchard fruit, some stone fruit, cereal and vanilla. The nose and palate are similar with more fruit variety showing up on the palate. The finish is short and sweet resulting in a fairly nice whisky… especially for just $25. Spey River Rum Cask – This was the worst showing of the night with a slightly astringent and grassy palate along with some fruit and even a note of tar (remember that this is a Speyside offering). I wouldn’t recommend this one. Glen Moray Special Reserve 10 Year Chardonnay Cask Matured – Another good showing from Glen Moray with buttery molasses and fruit with some vanilla. Again, more fruit variety on the palate, including white grape, plum and apple. This is a bit lighter than the Port Cask Finish as would be expected when using a lighter wine. This one is about $45 and about on par with the Port Cask Finish, so not as good of a value. I also noticed that both of the Glen Morays did not take to the air well, deteriorating a bit after sitting for a while. I would recommend drinking a dram within about 20 minutes to preserve the flavors. Glen Scotia Double Cask – While fairly mild on the nose, this one was bold on the palate. The cereal, honey, apple and plum on the nose were joined by cherry cough syrup, green apple and a note of licorice on the palate. A long and oily finish with lingering cough syrup and cereal rounded out a fairly nice whisky, if you like cough syrup. This Campbeltown single malt was more promising at first, but the cherry cough syrup was too dominant for my taste. Still, I would recommend it at less than $60. 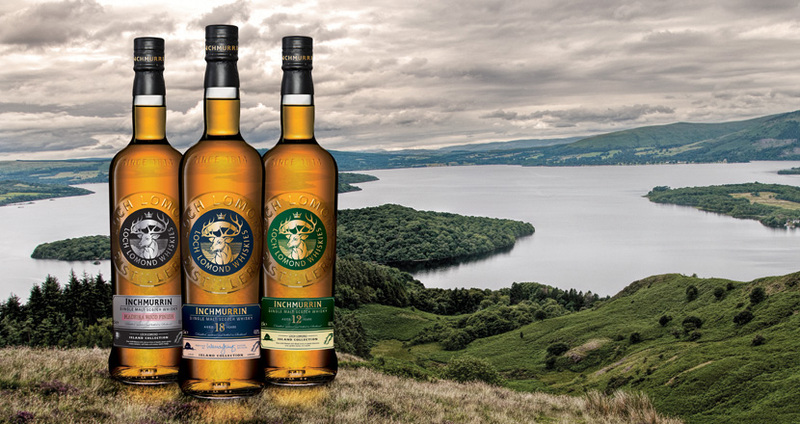 Loch Lomond Inchmurrin Madeira Wood Cask – A bit of cereal and plum with cocoa notes on the nose with apple, straw, white grape, ginger and black pepper added on the palate. A nice long and leathery finish with lingering spice, fruit and cocoa. A very nice whisky and a good value at $75 from the Loch Lomond Distillery in the Highlands. Kavalan Concertmaster – This is another port cask finished single malt… this time from Taiwan. It’s much bolder than the Glen Moray with some bourbon-like notes added and bigger fruit notes… plum, cherry, apple and prune. The finish is long and rich with dark stewed fruit and a touch of tobacco. It’s not quite as good as the Inchmurrin and more on par with the Glen Scotia, but I like the flavor profile better here (i.e. not a fan of cherry cough syrup). At $75, it’s a premium value for what you get. Deanston 18 Year Old Cognac Cask Finished – Note that this is the only whisky with an age statement tonight! It’s quite good with very noticeable cognac influence after having spent 6 years in a cognac cask. Notes of cereal, cherry, plum, grape, apple, pear, ginger and a hint of tobacco. The finish is fruity, spicy and long. This is a very nice whisky and the most expensive of the night at about $160. Quite a nice lineup tonight and none that I’ve ever tasted before. Although it’s close, I would pick the Inchmurrin as the best of the night with the Deanston 18 following closely behind. The fact that the Inchmurrin is half the price is a bonus! I consider the Kavalan to be overpriced, while the two Glen Morays are a great value. Posted in Whiskey. Tagged Campbeltown, Deanston, Glen Moray, Glen Scotia, Highland, Inchmurrin, Kavalan, Single Malt, Spey River, Speyside.